We’ll work together to determine what issues you want to address and how to create the best solutions for you. Either on the phone or in my office, each session is geared toward your specific needs. Initial Consultation: We’ll discuss your goals and what is achievable to ensure that my coaching is tailored for you. First Coaching Session: These sessions can be over the phone or face-to-face. We’ll partner together to determine what obstacles you face in reaching your goals—being more effective at work, advancing further and faster, making the most of your employees’ talents, dealing with difficult corporate cultures, and other challenges you face every day. You are in charge of the agenda for each session. Regular Coaching Sessions: Each session is based upon what you are ready to explore that day, and what ideas you feel like experimenting with further. I’ll support your commitment to your personal and professional development. We’ll discuss how willing and ready you are to acknowledge where you are stuck, and how open you are to other ways of seeing the world. Be ready to accept feedback and to try out new behaviors. This approach helps you to reflect and re-frame your current experiences and take a 30,000 foot look at your situation in action. Be ready to develop parts of yourself that may have been overlooked or neglected in the past. Ready to clear your blocks to success? Align your teams now by getting started with my Team Performance program. Improve productivity, morale, and help individuals become better team members. I help you communicate your business goals more clearly, so that teams better understand what is needed in order to further business success and improve overall team performance . My team coaching approach provides the opportunity to go beyond individual’s abilities. Team coaching engagements follow a research-based framework, and are customized to achieve your organization’s specific needs and desired outcomes, offering teams the personal coordination, collaboration, and creative thinking needed to address complex issues. An assessment to determine the team’s readiness, strengths and development needs. A combination of face-to-face, phone, as well as in person observation and feedback sessions. Motivational interventions designed to enhance team awareness and effectiveness. Visit my calendar for details on upcoming events. My corporate experience has given me valuable insight into employee and leadership performance. Research has shown that under performing and underutilized employees have a negative impact on a company’s bottom line and the morale of other employees. I can work with your company leaders to improve employee engagement, as well as support leadership development, and help ensure that your company’s investment in people has a positive impact on your bottom line. Initial Consultation: Get answers to your questions and find out how I can best help your business. I can work with your HR department or company leaders to help bring about the success you want for your business. Each engagement is tailored to meet your business’s specific needs. Frequency and level of engagement is determined on an individual basis. Coaching Proposal and Schedule: With each request for service, a detailed proposal is provided. Long term or short term engagements are determined between the coach and the company executives, depending on the complexity of the issues. Coaching Sessions: Coaching sessions can be targeted to teams, groups, or individuals as requested. I specialize in working with high potentials and leaders ready to advance to the next level. Contact me today to set up your initial phone consultation! Mary T. O’Sullivan, MSOL, is a credentialed Executive and Professional Coach with 30+ years of experience working for corporations, including large, complex organizations. Ask yourself, are you engaging a university trained and certified coach with advanced credentials from the International Coach Federation? Or is your coach the product of an off beat short term encounter session? Contact me today to set up your initial phone consultation. 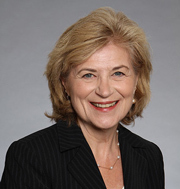 Mary T. O’Sullivan, MSOL, ICF-PCC, SHRM-SCP, EAPA, is a credentialed Executive and Professional Coach with 30+ years of experience in large Fortune 500 corporations including General Electric, Lockheed Martin, and Raytheon.